The all around verdict from all those who attended the special screening of Aamir Khan starrer Dangal is loud and clear! 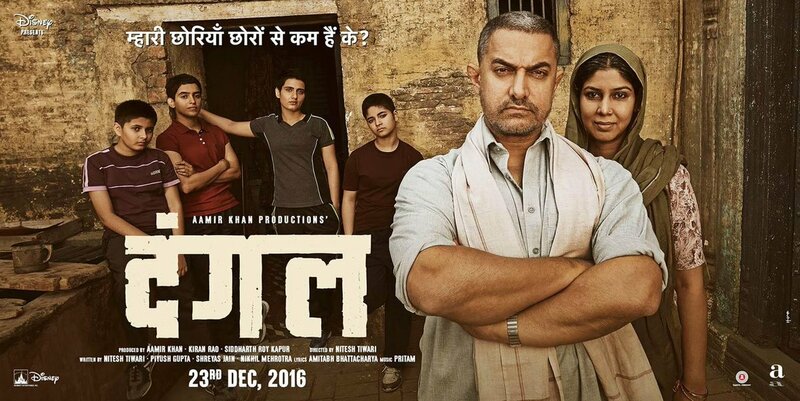 Dangal is based on the lives of Indian wrestler Mahavir Singh Phogat and his daughters. The Nitesh Tiwari-directed film costaring Sakshi Tanwar, Fatima Sana Shaikh, Sanya Malhotra, Zaira Wasim, and Suhani Bhatnagar is set to release this Friday i.e. 23rd December 2016. Dangal is a family drama, sports movie, and a biopic packed into one with the themes of love, sacrifice and patriotism at its core. The movie also propagates the all important message of gender equality. Now, Aamir does one movie every 2-3 years and over the last decade or so he has delivered on blockbuster after the other. In terms of the box office collections, PK and Dhoom 3 are two of the greatest films of his career. In between, there have also been films like Rang De Basanti, 3 Idiots, and Taare Zameen Par, which got both critical acclaim and commercial success. Aamir Khan is not called a perfectionist for no reason. It is no cake walk to transform oneself to play the different phases of wrestler's life. But, Aamir never really backs down from a challenge. When is started out his body's fat contet was well over 30 percent. But, he worked relentlessly and pushed his body to a limit where the fat content reduced to just about 9 percent. The actresses playing Phogat's daughters too don't seem to have left any stone un-turned to get into proper shape for the roles. And it shows in every frame of Dangal. While Film critic has described it as "...an important event for the women & sports in our country”, filmmaker Shirish Kunder said "Dangal is the best film I've watched in a long time." Politician Milind Deora praised the movie's screenplay, music and performances. Lyricist Prasson Joshi commended Aamir and team for making a landmark film. While film critic Raja Sen felt that Dangal was even better than Lagaan, trade analyst Taran Adarsh hailed it as a masterpiece. Dangal certainly looks set to tumble all the box-office records and may even go on to become the biggest blockbuster of Aamir's Khan's career so far.